DISHA Chatbox: In order to address the perpetual queries of railway passengers, an Artificially Intelligent chatbox, called 'Ask DISHA' (DISHA- Digital Interaction to Seek Help Anytime) has been introduced on Indian Railways website and mobile app. Post-paid facility: A post-paid facility under the category 'Book now, pay later' has been made available, for allowing customers to pay for their bookings at a later stage. 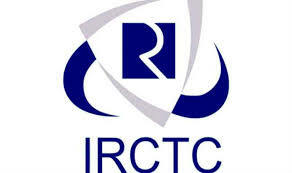 Online cancellation: In a bid to facilitate hassle-free and faster cancellation of tickets booked through railway counters, passengers can now do so online, on the new IRCTC website. Debit card transactions: For booking rail tickets online via debit card, payment charges have been completely waived off, for transactions upto Rs. 1 lakh. Push notifications : To keep the passengers well-informed about all the latest Railways information, services and schemes, IRCTC has launched the push-notifications service on its website and mobile app.